1 of 10 Walter Iooss Jr. 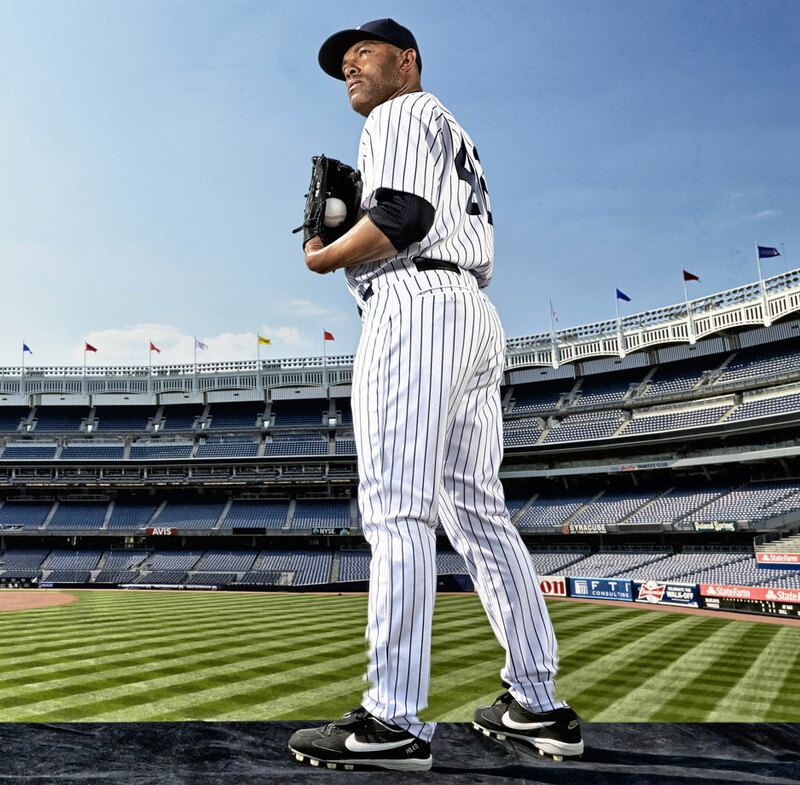 The greatest relief pitcher of all time was signed by the Yankees as an amateur free agent, Mariano Rivera played his entire career for The Pinstripes. The 13-time All-Star saved at least 40 games nine times, including a career-high 53 games in 2004. A future Hall of Famer, Mo also won five World Series titles. 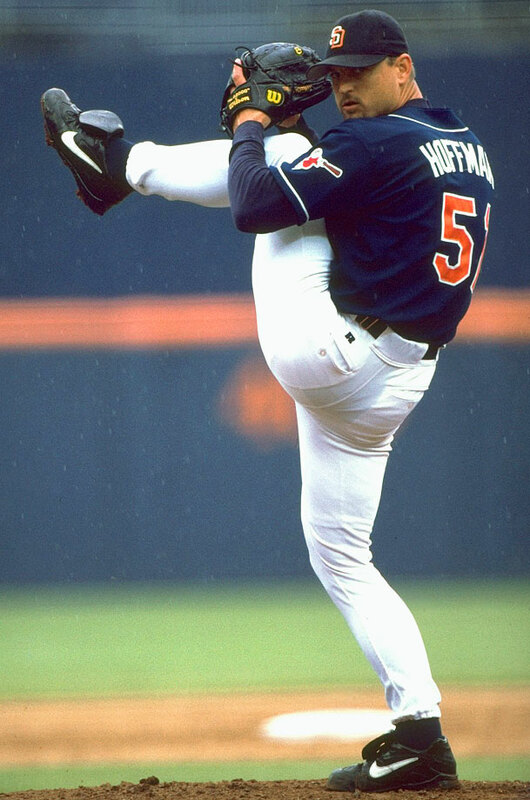 Trevor Hoffman compiled 552 saves over 16 seasons with the Padres, 47 in two years with the Brewers and two in 1993 with the Marlins. He shattered the previous record of 478 held by Lee Smith, making him the first player to reach the 500- and 600-save milestones. The seven-time All-Star had a career ERA of 2.87. 3 of 10 Walter Iooss Jr.
Lee Smith, a seven-time All-Star, played 18 years for eight teams. 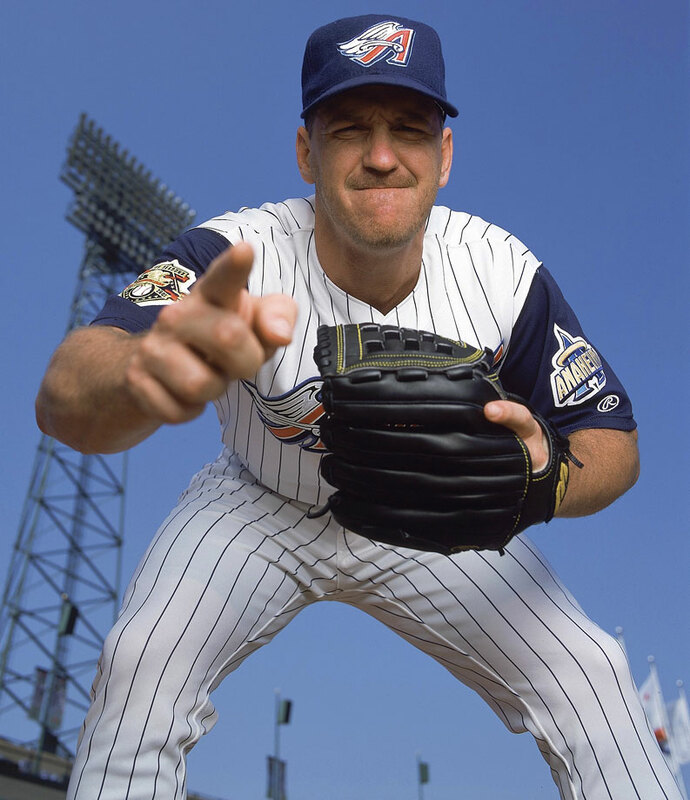 One of the dominant closers in history, he held the major league record for career saves from 1993-2006, when Trevor Hoffman passed his final total of 478. He led the majors in saves four times. The career leader in saves by a left-hander, John Franco led the league in 1988 (39), 1990 (33) and 1994 (30). 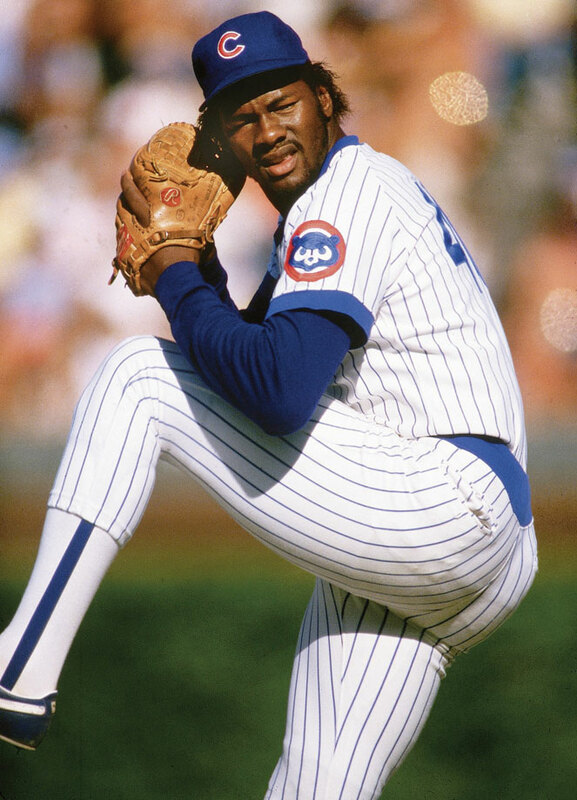 Franco was a four-time All-Star selection and won the NL Rolaids Relief Man of the Year twice (1988, 1990). 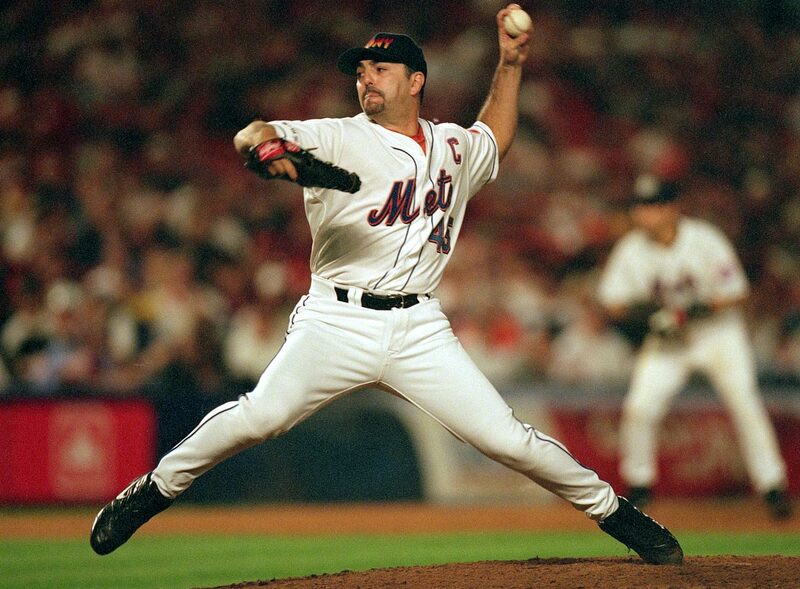 With the Reds (1984-89), Mets (1990-2004) and Astos (2005), he compiled a 90-87 record and a 2.87 ERA. 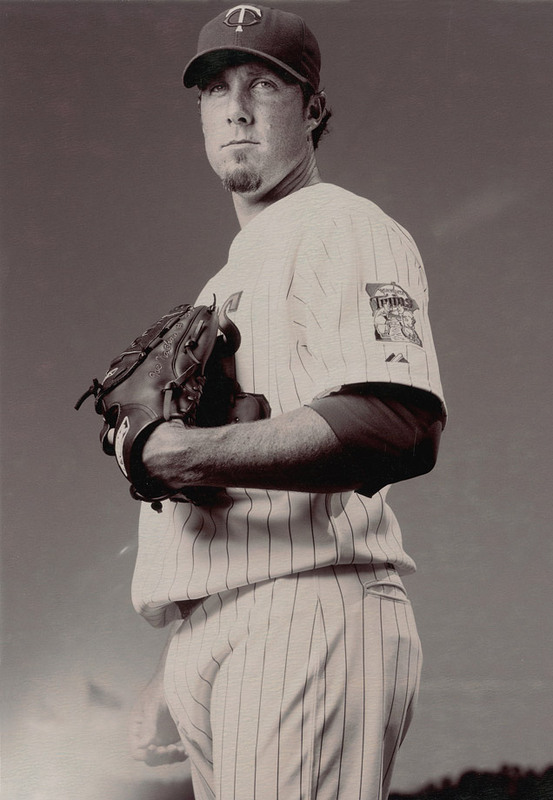 Billy Wagner was a natural-born right-hander but, after breaking his right arm twice in accidents as a young boy, he taught himself to throw baseballs using his left arm. He struck out nearly 1,200 batters in just over 900 innings pitched. 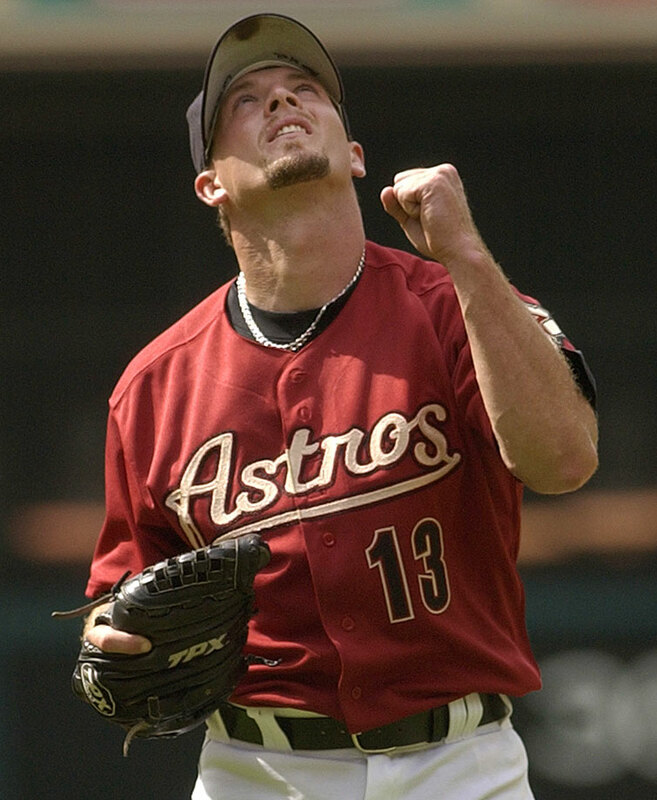 A seven-time All-Star, Wagner saved a career-best 44 games for the Astros in 2003. 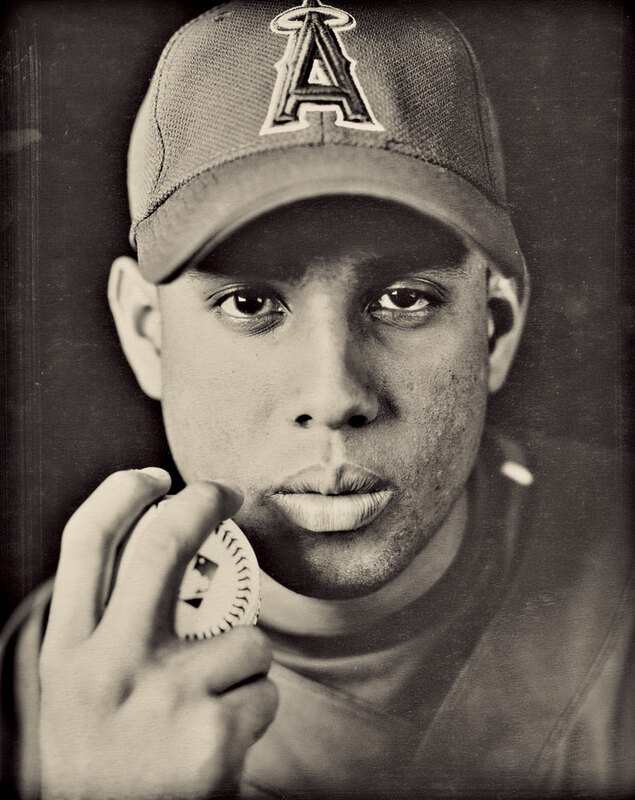 6 of 10 Walter Iooss Jr.
Francisco Rodriguez spent the first seven seasons of his career with the Angels, where he set a major-league record with 62 saves in 2008. A six-time All-Star, K-Rod recorded the 400th save of his career as the Tigers closer on May 24, 2016. 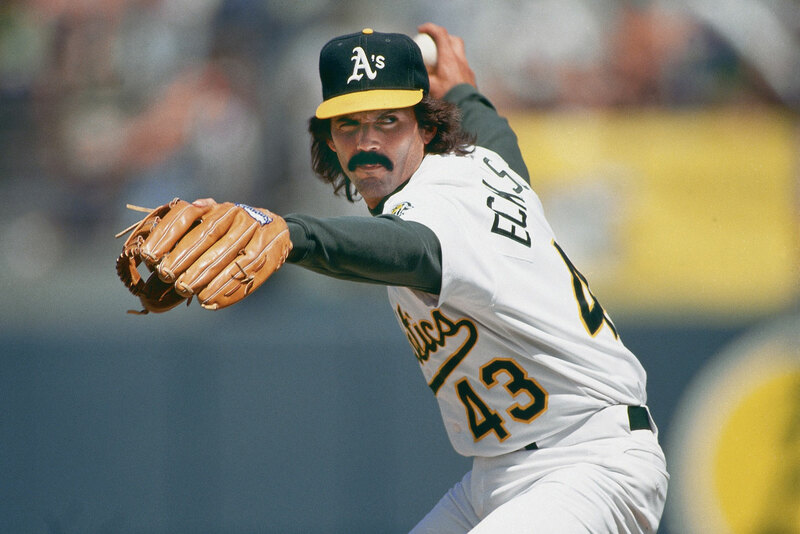 Dennis Eckersley won 20 games as a starter for the Red Sox in 1978, but a 1987 trade to the Athletics jump-started his career as a reliever. From 1988-1993, he saved no fewer than 33 games and led the league in 1988 (45) and 1992 (51). The six-time All-Star won the MVP and Cy Young awards in 1992. 8 of 10 Walter Iooss Jr.
A six-time All-Star, Joe Nathan saved 260 games with the Twins before saving 80 games in just two seasons with the Rangers. In 2015, his second season with the Tigers, Nathan tore his UCL and tendon in his elbow and underwent Tommy John surgery for a second time, leaving his future in doubt. 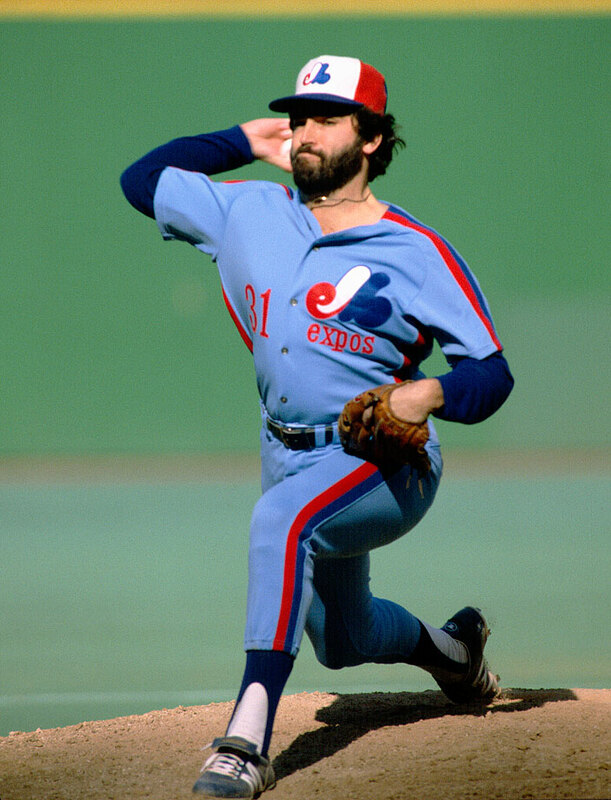 A four-time All-Star, Jeff Reardon became the first pitcher in Major League Baseball history to have 40-save seasons in both the American and National Leagues. He also led the majors in saves (41) during the 1985 season. During a 15-year baseball career, Troy Percival pitched from 1995-2009 for the Angels, Tigers, Cardinals and Rays, pitching primarily with the California/Anaheim Angels. He was an integral part of the Angels' 2002 World Series championship team and recorded 10 seasons of at least 27 saves.